P.P.S: How do you feel about this dashing British trend? I am wearing one today. 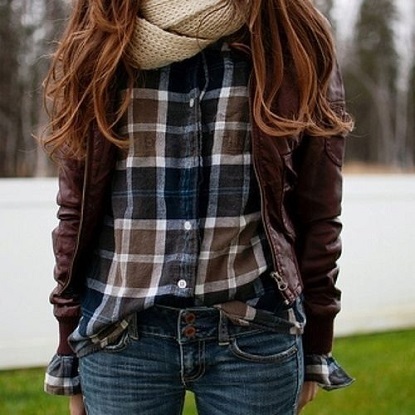 Yes to plaid! I will totally be wearing this look! In fact, that's exactly what I was wearing yesterday. Need to get some more plaid shirts this season. Yes! I just picked up two new plaid shirts... I can't wait for autumn! Hope you're having a wonderful week, Diana! LOVE this look! The heels and skinnies add the perfect feminine edge to the tomboyish plaid. Love it!! I just bought a new green plaid shirt and I am just so ready for fall to wear it!! Yes I just thrifted a supply of flannel and plaids to wear this fall and winter. I can't wait for the season to get here. I love plaid! So cute. plaid and fall do seem to go hand in hand. loving these looks! Plaid is basically my favourite after stripes (particularly Breton style tops in any colour way!) - both are so easy to wear! Love the selection you've picked out! Katie, I just got one from zara:) They have a few that are totally adorable! Yay Lauren:)Have a wonderful week too, sweetie. Totally agree, Vanessa:) The perfect trio! Amy, I am wearing one this morning as it feels like autumn is just around the corner. such a great trend, will definitely go for it this fall!